As I mentioned in the last post, I will be looking at three questions regarding giving thanks. In what ways do we give thanks? 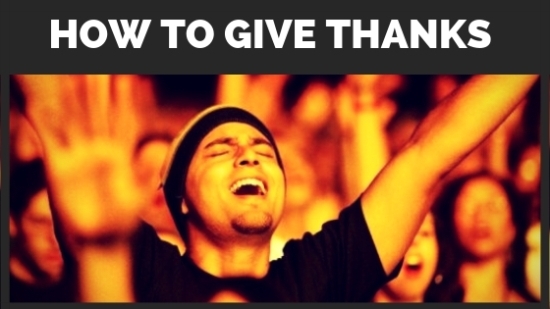 Why is giving thanks important? How do we give thanks even in difficult situations? The first question is in what ways do we give thanks. The most common answer is to give praise to God. “Sing to the LORD with thanksgiving; make music to our God on the harp” (Psalm 147:7). “With praise and thanksgiving they sang to the LORD: ‘He is good; his love to Israel endures forever’” (Ezra 3:11). Throughout the Old Testament we see examples of people expressing their thanks to the Lord through songs or prayers. And Jonah, while in the big fish, praised God for saving him. Then, of course, there is the book of Psalms, a whole book dedicated to songs to sing to the Lord. There are songs to thank God for victories, for protection, for remembering His goodness, for His forgiveness, for anything and everything, songs of praise to God. We do not have to be eloquent in our praise of God. A simple prayer of thanks for the food God has provided you to eat is pleasing unto the Lord. At night, a quick list of thanks for the events of your day is pleasing unto the Lord. In the morning, your gratitude for the night’s sleep is pleasing unto the Lord. And, of course, thank God for every answered prayer. We do not have to impress God with our words. We never could impress Him that way. Our words of thanksgiving refocus our hearts and minds on the great things He has done for us. Songs of praise and worship help remind us of things we are thankful for. 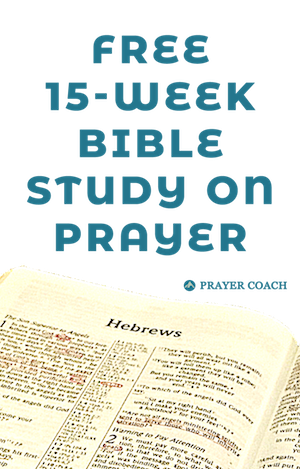 As we read the book of Psalms we can say, “Yes, thank You God for making me. Thank You for loving me. Thank You for never stopping loving me. And, thank You for providing for me…” And the list goes on. Songs of praise in church can also put words to the feeling in our hearts. Maybe books relate more to you. Check out this Jesus Calling edition of Giving Thanks to God. Many people rob themselves of the joy of singing praise to their loving Father, because they fear their voices are not pleasant enough for God. Remember God made your voices, and He enjoys everything He created when it is given to Him. The songs you sing to the Lord, the praise you give Him, energizes your spirit and your love for Jesus. Your focus moves from your feeble attempts to make a melody or remember the words and takes you into the very presence of God. Thank You heavenly Father for accepting me into Your presence and loving me as I am, for loving me enough not to leave me as I am but calling me to become like Christ. You are my hope. You are my life. I love You. Giving of our tithes expresses our appreciation and reminds us anew that God is the One who provides for our needs, not us. Witnessing or talking to others about Jesus is also an expression of appreciation for what Jesus has done for us. We have experienced the forgiveness of our sins, the release of our guilt, the newness of live, the love of God, and the joy of the abundant life, and we would know that God’s desire is for everyone to know and experience the same. Accepting one another (Romans 15:7), forgiving one another (Colossians 3:13), loving one another (John 15:12), and even imitating God (Ephesians 5:1) are each expressions of thanksgiving to the Lord. Don’t be discouraged or stressed by how to give thanks, just along your gratitude for all He has done for you freely flow out of you. to show our appreciation to Jesus for what He has done for us.